Trauma to the ankle that could have occurred in childhood and progressed. 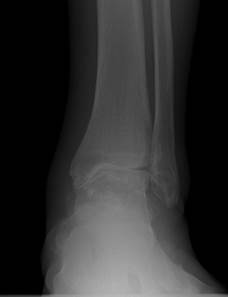 Ankle fracture into the ankle joint. 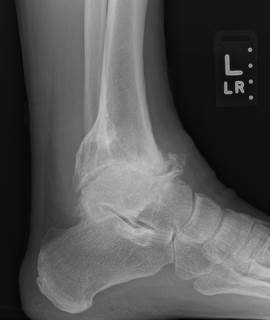 Frequent ankle sprains creating a chronically unstable ankle. Synovial tissue disease (rheumatoid arthritis, psoriatic arthritis). Tumors that have invaded the joint. 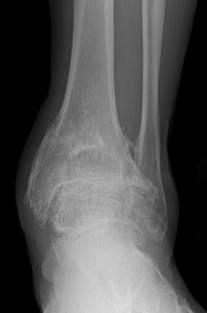 Congenital deformities of bone to the ankle joint. 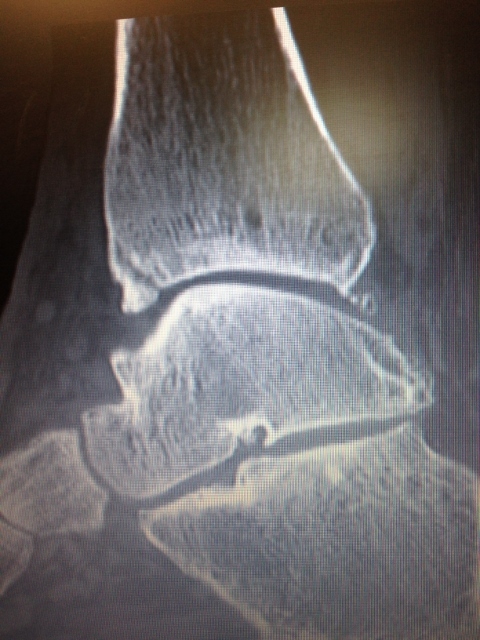 Slow progressive loss of motion of the ankle joint. 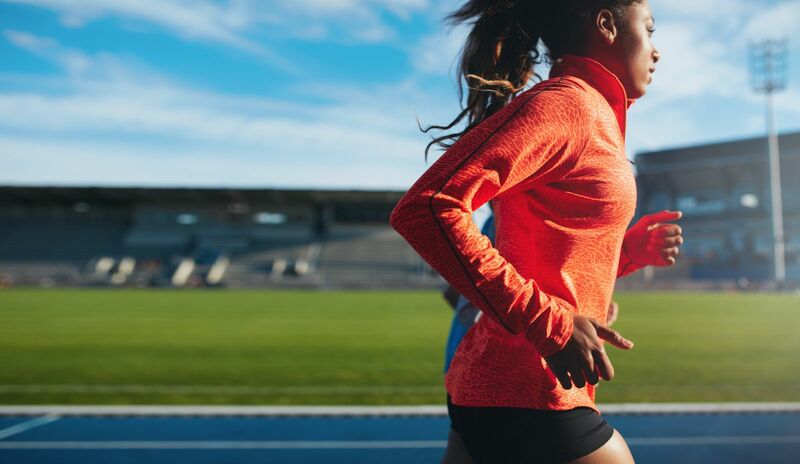 Stiffness and soreness, especially getting out of bed in the morning to begin to ambulate. In the short term the stiffness may go away very quickly but as the disease progresses the stiffness will last longer. Also associated with stiffness after getting out of a car or after sitting in a chair to get up and walk. 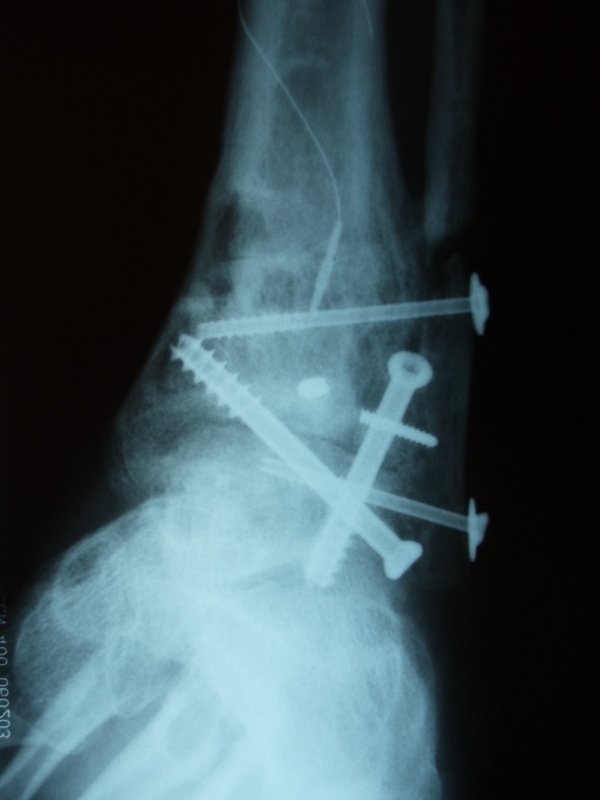 With progression a chronic ache in the ankle joint. Painful with motion, especially up and down. Pain with ambulation and difficulty running. 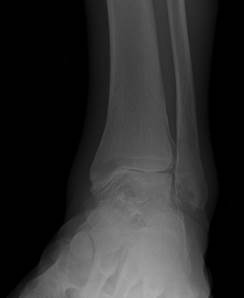 Diffuse swelling to the ankle joint. In women, may have difficulty wearing any flat shoes. 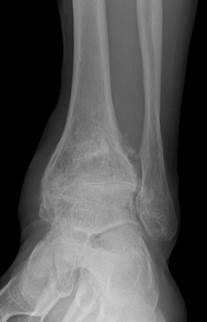 In mild cases bone spurring may develop around the ankle joint. 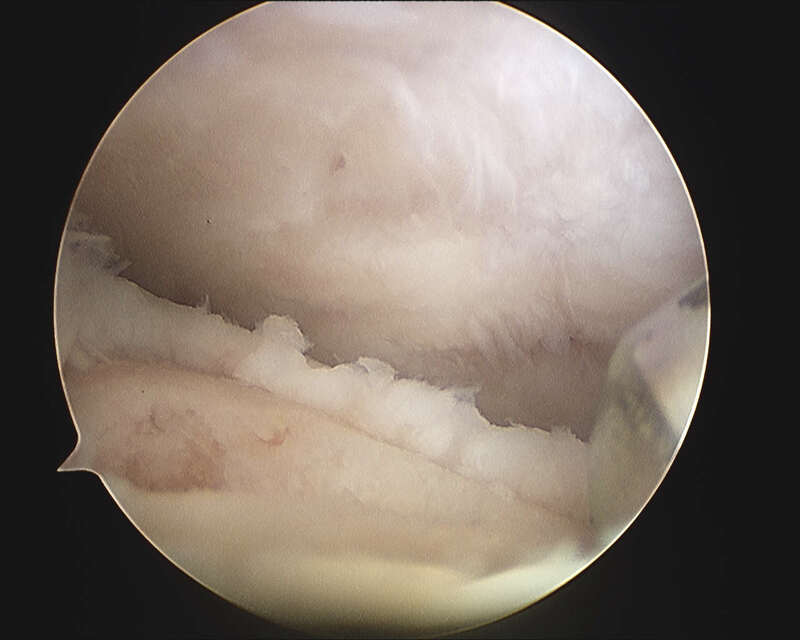 A small degree of joint space narrowing may also be present. 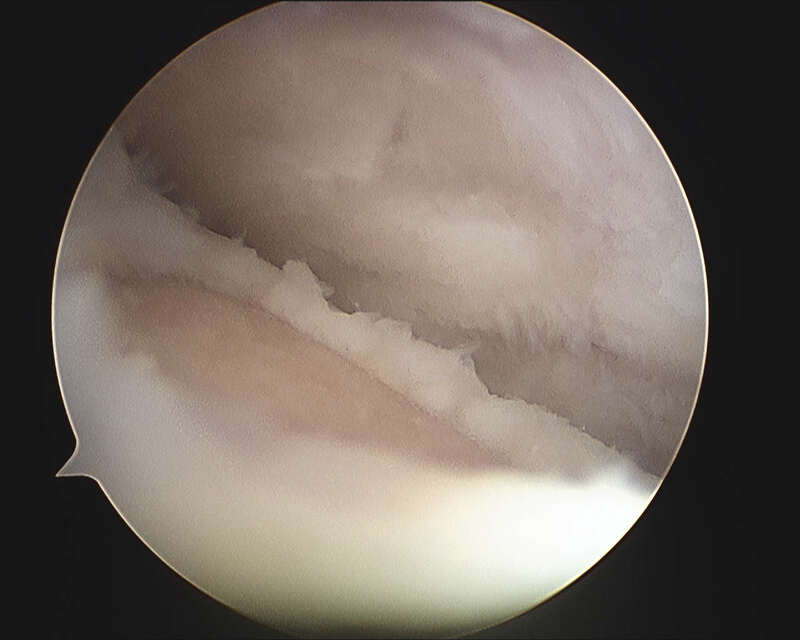 As the arthritis progresses there is a further loss of joint space. 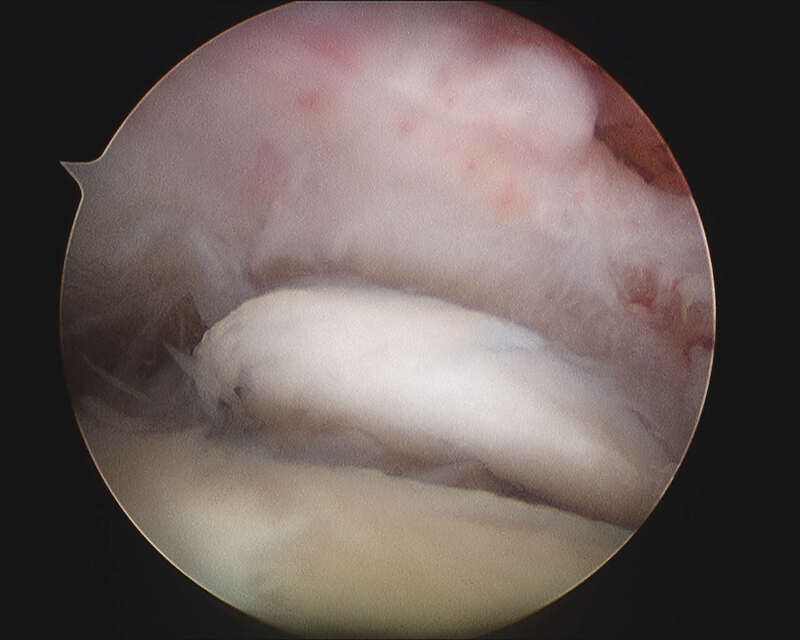 The joint surface appears to be white and diffuse bone spurring develops around the joint region. 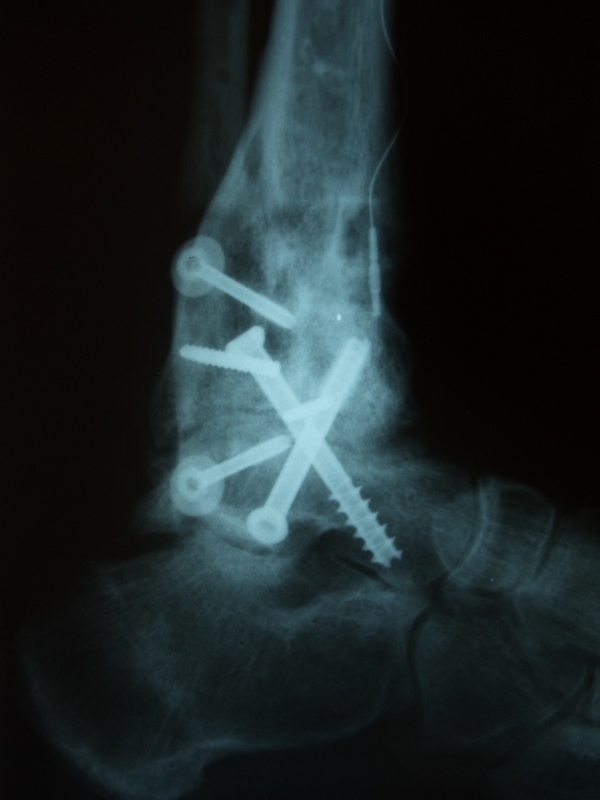 Mild cases: Braces - ankle, foot orthoses, (AFO’s) may help to decrease motion in the ankle joint, lessening the pain. 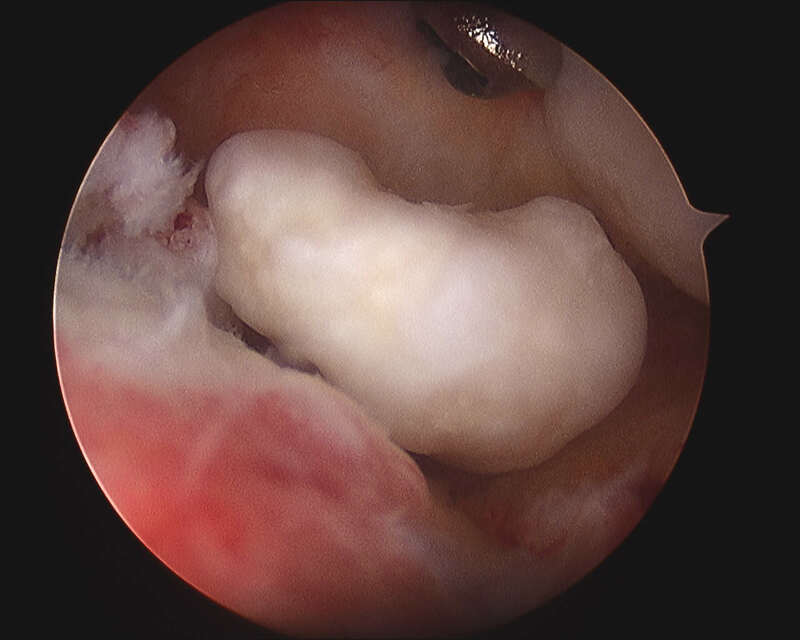 Moderate cases: When conservative case has not helped, arthroscopic surgery to remove the abnormal bone, soft tissue and cartilage may be of benefit. If the disease process is advanced, only temporary benefit may be achieved. 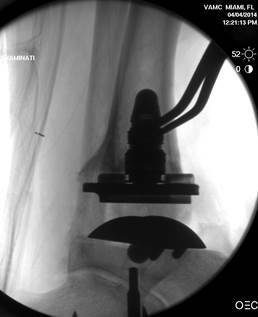 Severe cases: When the arthritis has advanced and has been unresponsive to conservative care and/or arthroscopy, fusion of the ankle joint is the gold standard. 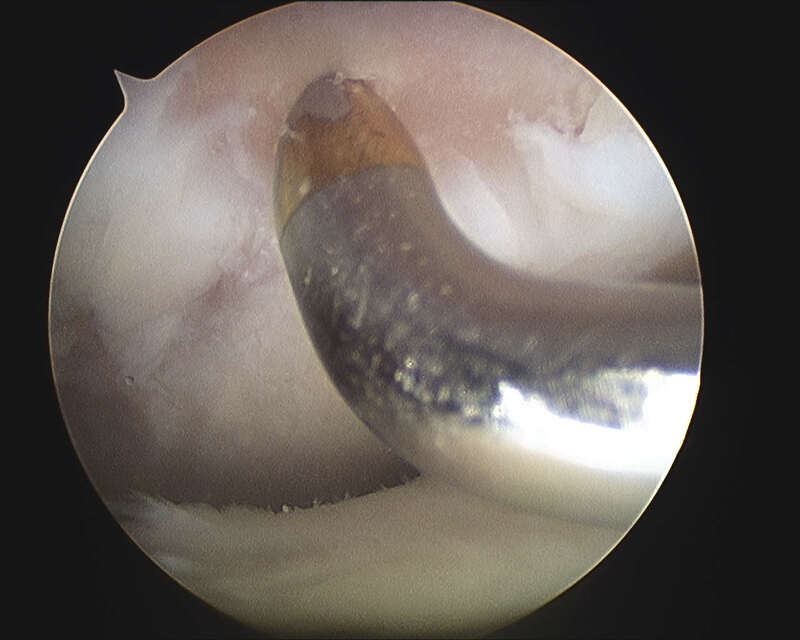 During the fusion the cartilage and the joint surface is completely removed. The bones are then put together and held in place with screws. 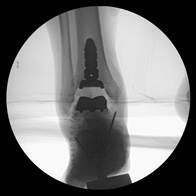 This procedure can be performed arthroscopically if there is minimal deformity to the foot and ankle. 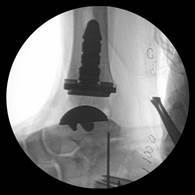 If there is severe deformity the procedure may be performed open. 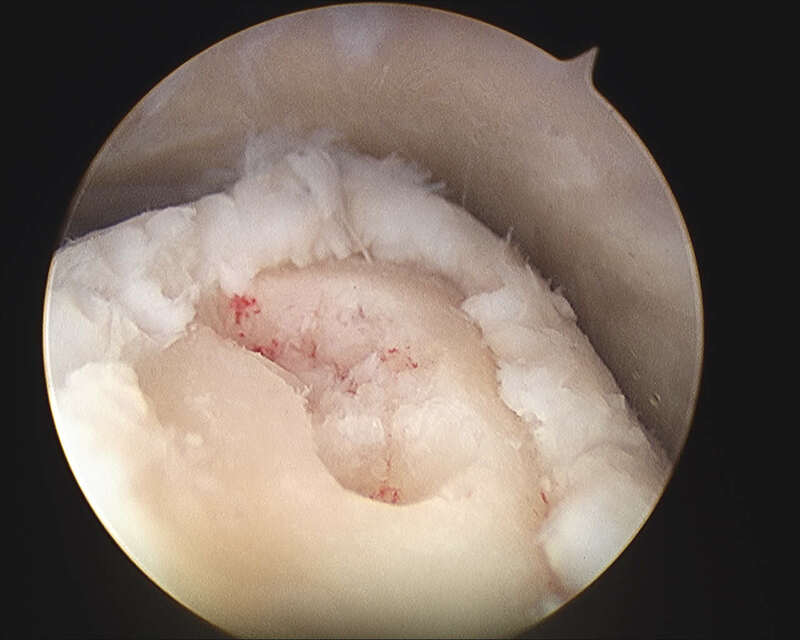 Long-term outcome is excellent following the procedure with regards to eliminating the pain. 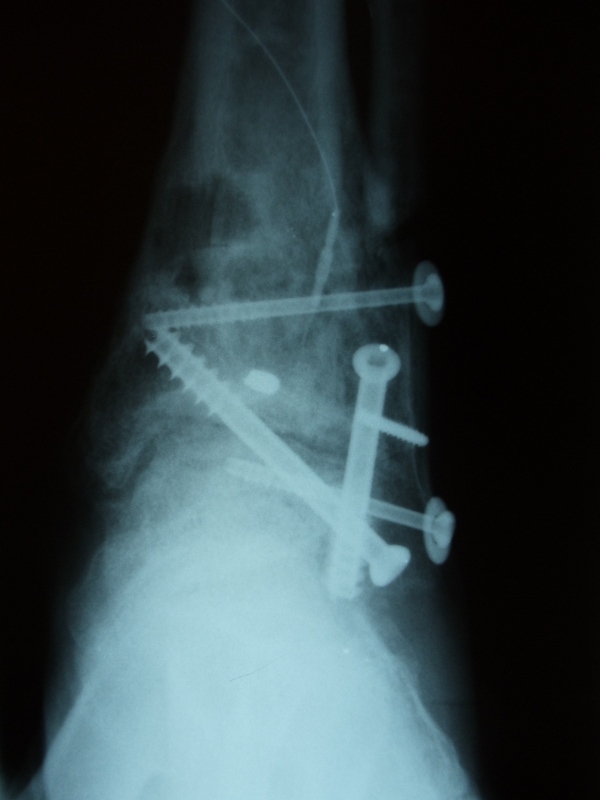 Most patients can return to walking without discomfort. 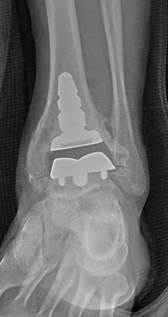 Pre, intraop and postop x-rays status post total ankle replacement for ankle arthritis. 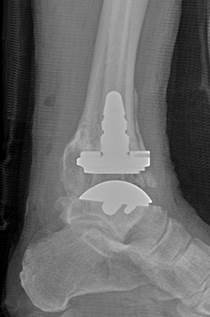 Pre and postop pics of arthiitic ankle status post total ankle replacement (TAR). Below are images of ankle arthritis in which one can see absent joint space at the level of the ankle joint in the left ankle. There is also a side view of the left ankle that illustrates absence of joint space and remodeling of both the talus and tibia. 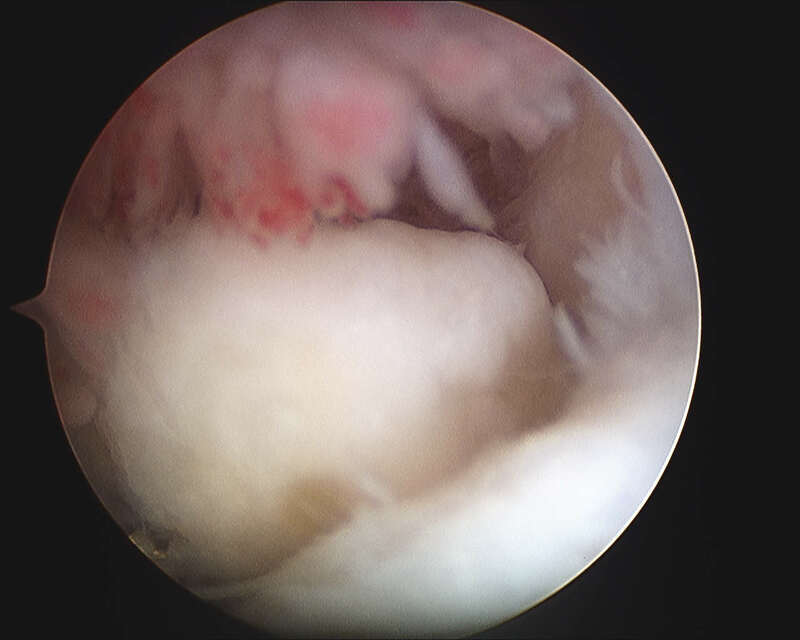 Below are images of post-surgical correction of the ankel arthritis with ankle arthrodesis (fusion) using internal scew fixation . 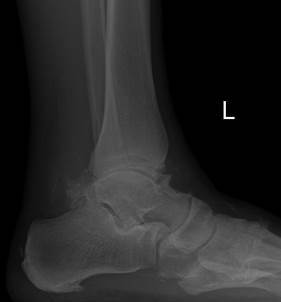 Below is another example of severe ankle arthritis on an x-ray and a sagittal plane CT scan of the ankle that shows more detail of the joint space narrowing, spur formation and subchondral bone cyst in the tibia. 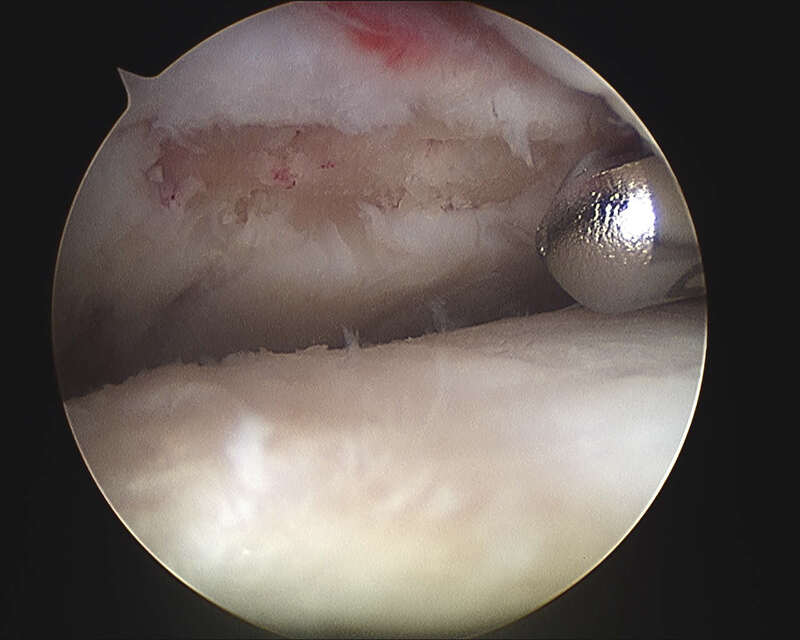 After removal of the plate prior to arthroscopic fusion. 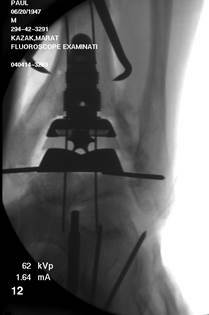 Ankle fusion with fibular onlay graft after severe post traumatic arthritis status post Pilon fracture.